On Sunday, make sure you wish happy birthday to one of the city’s oldest park areas, which has been hidden behind a chain-link curtain since the start of the new year. 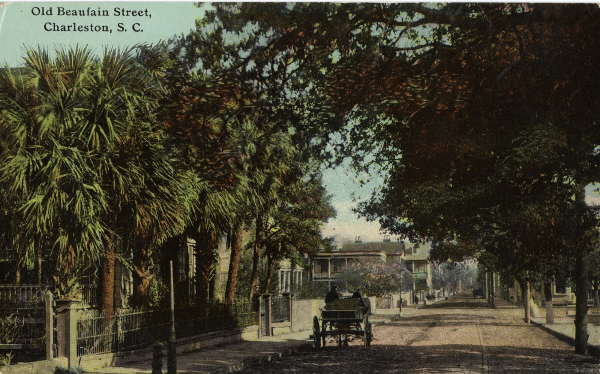 The $5.2 million makeover is well deserved and overdue, and the results promise to be nothing less than stunning thanks to the efforts of the Charleston Parks Conservancy. 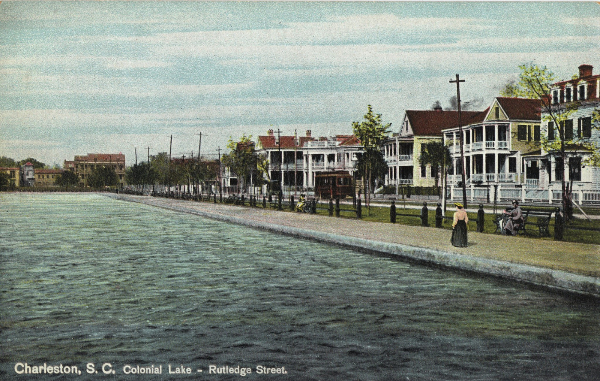 A number of the homes around Colonial Lake were built before the middle of the 19th century, including the one at 112 Beaufain, on the left in the picture above, just across the street from the north end of the pond. Our own John Payne assisted the buyers in the recent acquisition of its original carriage house, built in 1827, now known as 66 Ashley Avenue. John’s always in the know when it comes to property in Harleston Village, so please call him at (843) 708-0897 if you’re looking to buy or sell around Colonial Lake. 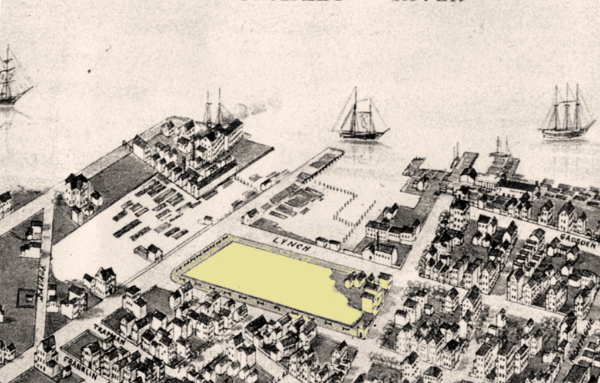 Other property around the lake was developed after the area became established as a place to see and be seen. The Baker-Craig Sanitarium was built across from the northwest corner of the lake on the corner of Ashley and Beaufain in 1912 as a 60-bed hospital and nursing school. Many a pleasant evening, young men with rowboats pulled up to the steps at the end of Queen Street to paddle the young nurses around the pond. 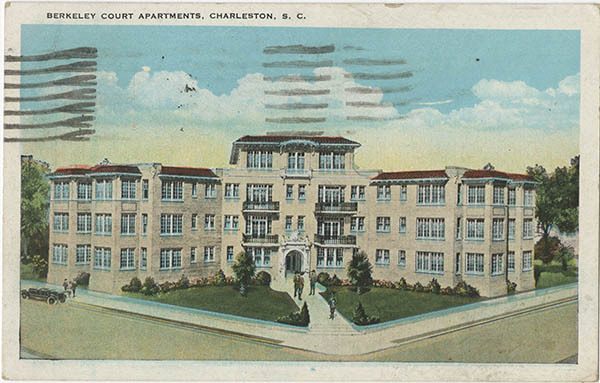 Many Charlestonians were born in this hospital before it moved to a new facility in 1981; this rare example of early 20th century Eclectic architecture was rehabilitated for residential use in 1983 and is protected under a conservation easement by the Preservation Society of Charleston. The structure was thoroughly “freshened up” in 1974, according to an article in the News & Courier published the same year, but even now retains many of its original features. Along with the beautifully crafted woodwork and well-laid tile, the building still has its original marble-tiled foyer and functioning elevator. Many of the units have sunrooms or balconies; the top floor now features two penthouse apartments with private rooftop facilities. Not only has Lois represented many buyers and sellers at 63 Rutledge Avenue over the years, this was the site of her very first own home! She currently has #20 listed for sale, a studio apartment with a balcony over looking Colonial Lake--please call her at (843) 270-2797 for a showing. The perfect pied-à-terre, check out its future view below...can you say WOW? Be sure to check out all of the changes we can look forward to and keep up with this work-in-progress at the Charleston Park Conservancy. We can hardly wait! The future Colonial Lake from the corner of Rutledge and Beaufain. 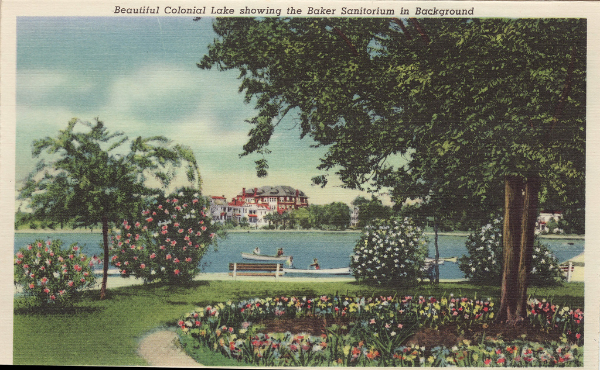 Lots of great information at the Colonial Lake page...how can you get involved?